CLEAR affiliates have focused primarily to date on developing and applying validated methods for testing of ground and surface waters. Air and soil sampling and analysis, as well as methods for assessment of human health concerns and conditions, are under development. 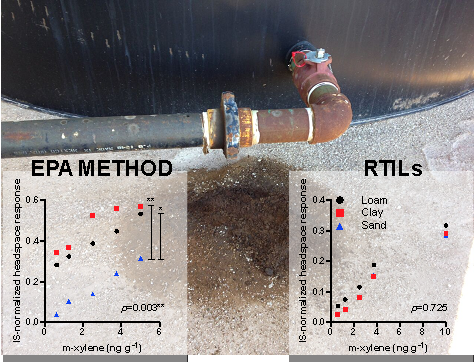 Further a variety of analytical methods are being used to assess the performance of new industrial- and laboratory-scale passive and active wastewater remediation technologies. Water samples are collected and analyzed using procedures that have been previously determined to provide reproducible and reliable results. At the well head, the well is purged and a range of basic water quality parameters (e.g., temperature, pH, total dissolved solids, amongst other) are collected. Multiple water samples are taken depending on the type of analysis to be performed - to ensure sample preservation and accuracy of results. We have developed chemical analysis methods that are tailored to look for chemicals associated with the unconventional drilling process. Additionally, our methods are designed to look for the unexpected - since many chemical components associated with the process are proprietary to the operator at hand. Inductively coupled plasma – optical emission spectroscopy and mass spectrometry for trace metal speciation and quantification. Through collaborations and use of state-of-the-art facilities associated with the multi-million dollar Shimadzu Center for Advanced Analytical Chemistry, CLEAR is a leader in the development and application of analytical methods for environmental analysis and the development of remediation technologies. Varona-Torres, E., Carlton, D.C., Hildenbrand, Z.L., and Schug, K.A. (2018) Matrix-effect-free determination of BTEX in variable soil compositions using room temperature ionic liquids co-solvents in static headspace gas chromatography mass spectrometry. Analytica Chimica Acta 1021, 41-50. Martin, M.S., Santos, I.C., Carlton, D.C., Stigler-Granados, P., Hildenbrand, Z.L., and Schug, K.A. 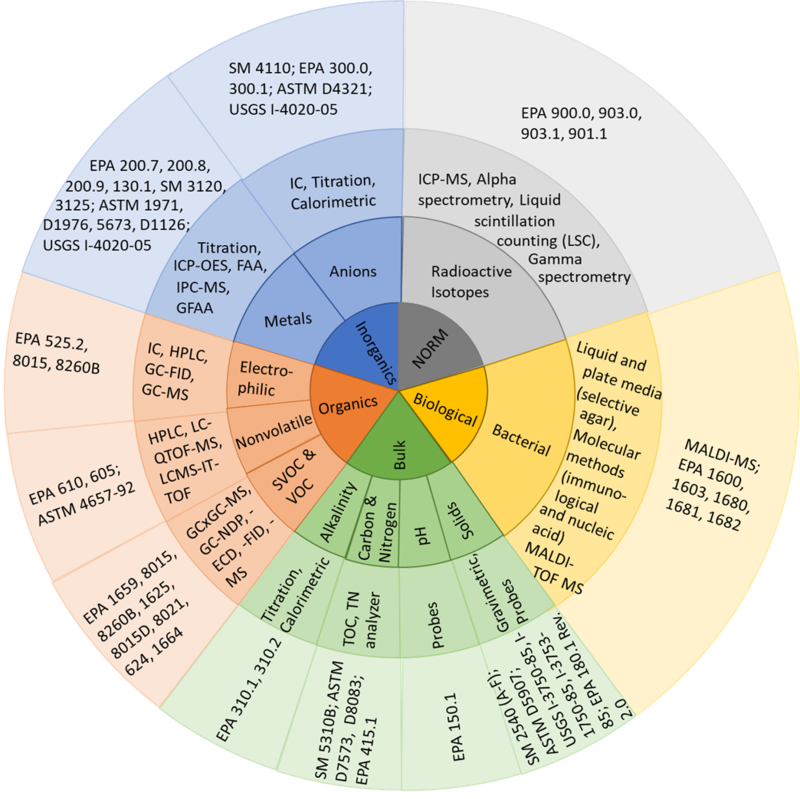 (2018) Characterization of bacterial diversity in contaminated groundwater using matrix-assisted laser desorption mass spectrometry. Science of the Total Environment 622, 1562-1571. Santos, I.C., Martin, M.S., Reyes, M., Carlton, D.C., Stigler-Granados, P., Valerio, M., Whitworth, K., Hildenbrand, Z.L., and Schug, K.A. 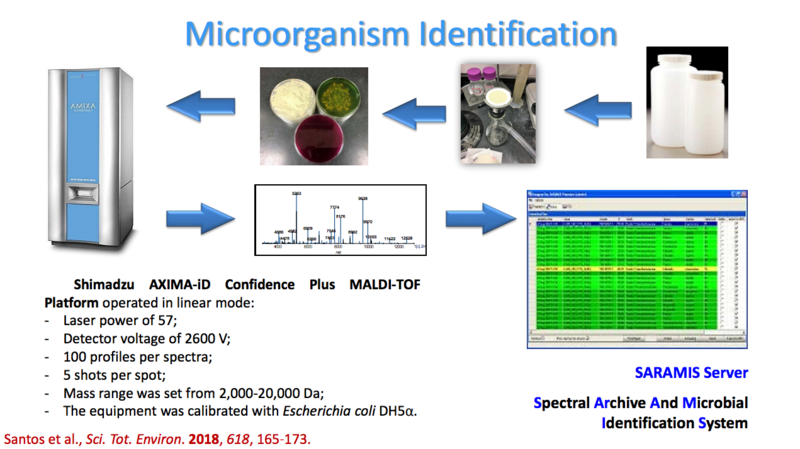 (2018) Evaluating microbial ecology in groundwater overlying unconventional oil and gas development using matrix-assisted laser desorption mass spectrometry. Science of the Total Environment 618, 165-173. Santos, I.C., Martin, M.S., Carlton, D.C., Amorim, C.L., Castro, P.M.L., Hildenbrand, Z.L., and Schug, K.A. (2017) MALDI-TOF MS for the identification of organic-degrading bacteria in contaminated groundwater near unconventional natural gas extraction sites. Microorganisms 5 (3), 47.